Michigan Mailers, a Kalamazoo data document and distribution services company now called Marana Group, believed that a new name was needed to reflect the fact that in 2019 the company doesn’t just mail stuff — it provides a broad range of data, document, and distribution solutions, according to David Rhoa, company president and son of the Marana Group founders. Rhoa talked about the process of rebranding with Sheri Welsh for The Welsh Wire podcast. 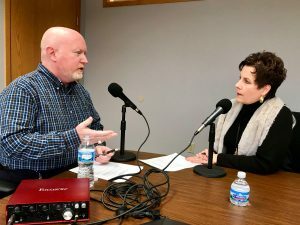 Learn more about how Lake Michigan Mailers successfully transitioned to Marana Group by listening to Sheri Welsh’s entire The Welsh Wire podcast interview with David Rhoa. Listen to Sheri’s entire interview with David Rhoa.